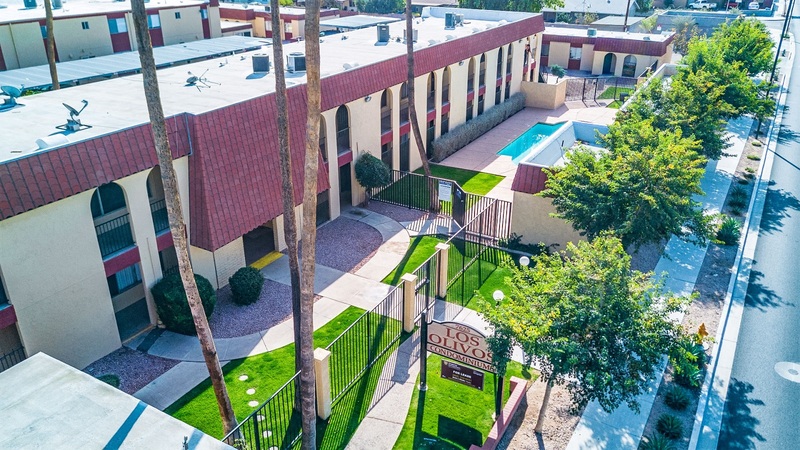 Phoenix, AZ – August 28, 2018 – ABI Multifamily, the Western US’s leading multifamily brokerage and advisory services firm, is pleased to announce the $5,846,020 / $95,836 Per Unit sale of Los Olivos Condominiums located in Phoenix, Arizona. Built in 1968, Los Olivos Condominiums is a two story, garden-style condominium community that features 61 units in 9 rental buildings constructed of wood frame and stucco. The property has flat roofs and rests on approximately 3.55-acre. The unit mix consists of (50) two bed and (9) three bed units with an average size of 1,104 SF. Los Olivos Condominiums is individually metered for electricity. This secure gated community also provides its residents with a swimming pool, covered parking, and a laundry facility along with a great location 1.8 miles away from the rapidly gentrifying Christown Spectrum Mall and easy access to the 19th Ave & Northern Light Rail Station. "Having started out as an individually-owned, For-Sale condominium project and then re-assembling the community into one complete project set the stage for a complicated, and lengthy transaction," states Ryan Smith, Vice President, along with Royce Munroe, Vice President, who represented both the buyer and sellers in the transaction. "There were 15 individual sellers from all over the world, including both Canada and France; as a result, it took over 6 months to bring this transaction to close. The sellers realized pricing premia due Phoenix’s robust apartment market and the buyers are perfectly positioned to capitalize on a rapidly improving submarket." "The entire dynamic of the 19th Avenue Light Rail Corridor is changing. Since 2013, the 19th Avenue Corridor has witnessed an impressive 3.5% increase in occupancy, to approximately 95%, with average rental growth of 5% year-over-year to its current $808, which is $260 below the MSA average," states Royce Munroe. "Just off unit-mix and size alone, with predominately large, 1,000+ square foot, 2-bedroom units, is very attractive from a value add perspective given the large delta’s between average metro and property rents." The buyer is a California based private investor. 15 individual sellers from Canada, California, Arizona and France. The multifamily brokerage team of Ryan Smith, Royce Munroe, John Klocek, Patrick Burch, and Nathan Bruer represented both the buyer and seller in this transaction.